Under the banner of ‘leading the 21st century PACKPIA’, 『The Monthly Packaging World』 opens up the new packaging culture of new millenium and boasts its public confidence as the best professional magazine related to packaging. Its first issue was published in May 1993. The magazine offers diverse information such as news about the association and members, government policies on packaging, systems, laws, new technologies, human figures, companies, packaging dealers, and user trends. It also introduces long accumulated experience and technology with many authors of the industry. 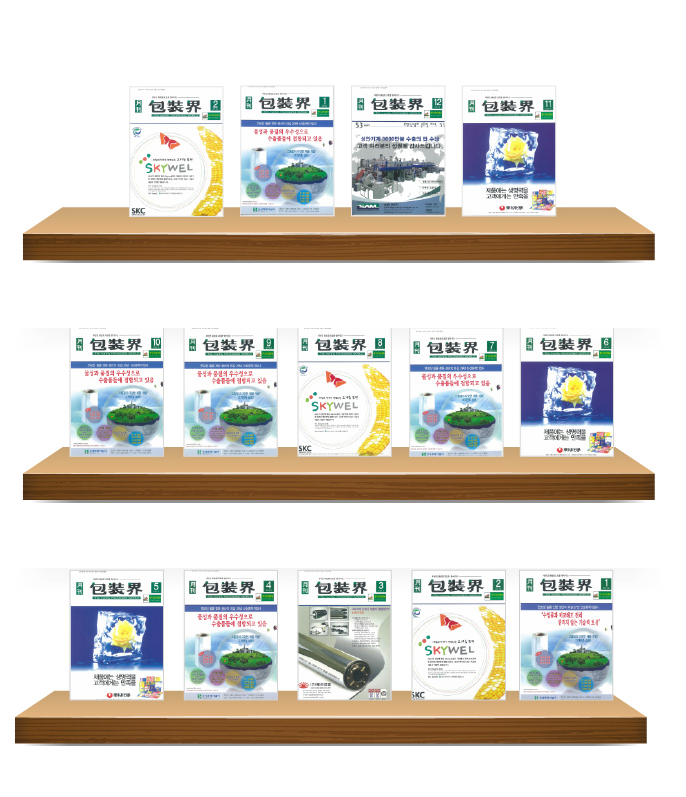 In addition, the magazine leads development of the industry by creating an organic channel with renowned packaging organizations and media in Korea, Japan and China to provide up-to-date information. Especially, 『The Monthly Packaging World』 constructed a database based on work agreement with Korea Institute of Science and Technology Information (KIST) to offer service to search articles from first to latest issues and to view original texts.